One Small But Important Step Towards Freedom! When you start something new, after all the planning and research has been done, there is still one last hurdle to overcome: actually taking the first step. It is easy to daydream, plan and research. None of those things represent commitment. Planning to live a more minimalistic lifestyle sounds intriguing. 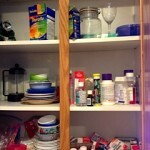 Looking in a closet or cupboard and imagining that most of what is there has been eliminated is nice, but that is not action. 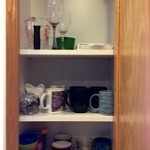 Actually diving in and getting rid of the stuff around your house, well that takes commitment. It requires decisions, sometimes hard decisions. Taking that first, tangible step can be one of the most difficult things to do. It means that you are actually doing what you have dreamed and planned and researched and are taking action. It means, in our case this weekend, getting into an area, taking everything out of a space and placing it into one of three categories: keep, give or trash. 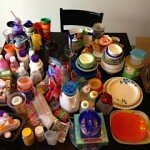 This weekend was the first step to getting rid of a lot of the junk that has been occupying our kitchen. 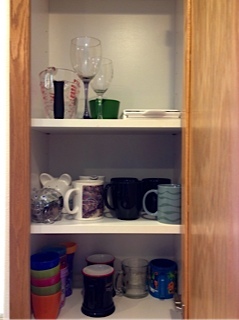 The target was our cupboards where we keep our mugs, cups and plates (and a boatload of crap that had snuck in there too). 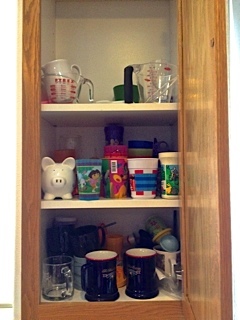 The cups before the clean out. Until it is all laid out. 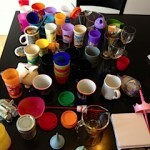 All the cups laid out. 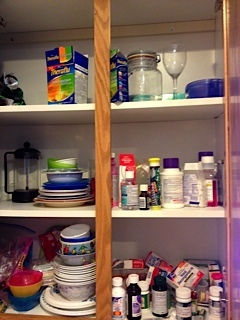 After going through the junk that had crept in and throwing that out, then putting aside the things that we don’t need but are still worth donating, we ended up with quite a bit more room in that cupboard. 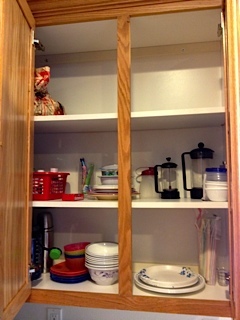 We then tackled the cupboard with the plates, bowls and a bunch more crap. 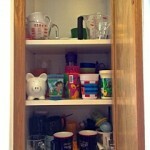 And finally a nice clean place for the stuff that is worth keeping. 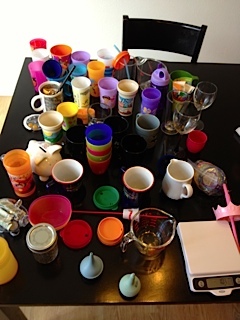 Most of what came out of the cupboards ended up in the “toss” stack. What was left that was worth donating went into a box and as soon as the box is full, it will be delivered to a local charity. I know this sounds very simplistic and mundane. For us though, it represents a significant first step. By starting off with a space that doesn’t contain a lot of emotional attachment we can get used to the process of de-owning the stuff that is cluttering up our lives and weighing us down. 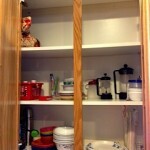 This week we are continuing to work our way around the kitchen tackling more cupboards and finally the big pantry. From there we plan on going to our bedroom, then the garage. That could take a while, we have a one car garage that is about half-full of stuff. 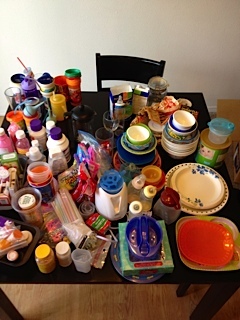 Most of that stuff we don’t need, but much of it will have emotional significance or will be above our minimum-sell value and will require the effort involved in listing it for sale on Craigs List or Ebay. The upside to taking the time to sell the more valuable items is that it begins to fund our savings account for our eventual escape! 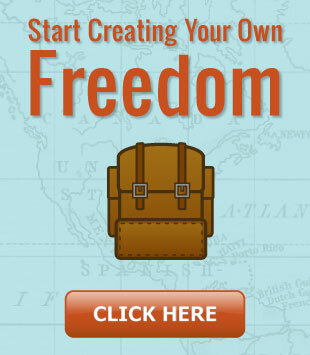 This process is explained in great detail in Adam Baker’s Sell Your Crap course and is a great resource for unloading the stuff that is keeping you from finding your freedom! Now it is your turn. What area of your home is needing a little more space? What small, first step can you take to lighten your load? Share with us in the comments so we can celebrate each other’s progress!